Shuck-Britson specializes as a full-service structural engineering and consulting firm serving clients throughout the Midwest and beyond since 1966. 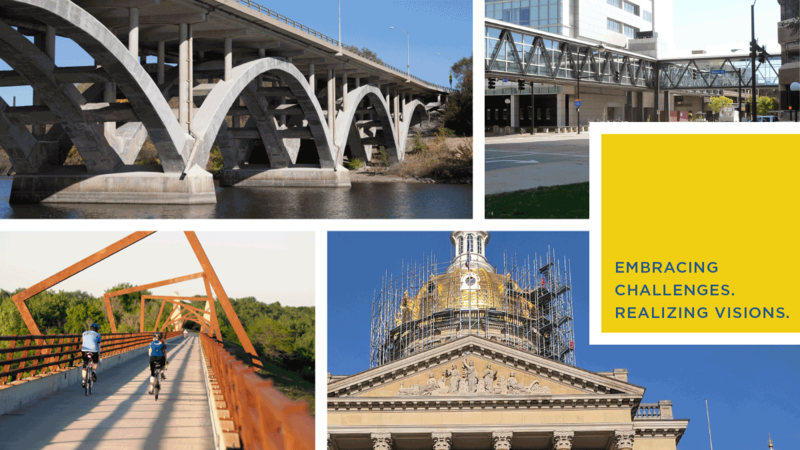 With a focus on diverse client needs, we perform engineering for inspection, evaluation, repair, rehabilitation, strengthening, design, and load rating for all types of bridges and structures. After decades of working closely together, Shuck-Britson became part of the Snyder & Associates family in 2008 to deepen and expand the full-service capabilities of both firms. Together, we provide extensive civil and structural engineering services grounded in over 90 years of experience. From historic preservation to new construction, we’ll bring your vision to life through smart, right-sized solutions.